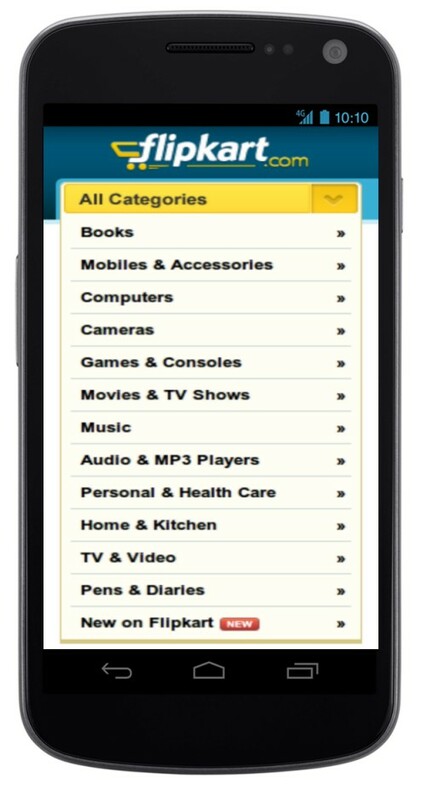 Job Posting Suggests Flipkart to Launch Mobile Apps Soon: Is it the Mobile Commerce boom in India? Mobile e-commerce has been a growing trend in India now, with other companies such as ticketing websites like Bookmyshow and Makemytrip bringing out apps to expand their presence and make the consumer experience better and faster. Flipkart is specifically looking at Android experience as well, a clear signal as to the future of Android apps and their popularity in the country. Android phones come in affordable varieties and this has prompted companies developing apps to give Android OS more leverage. With 3G and its capability to deliver broadband like data speed on mobiles, India is witnessing a mobile e-commerce revolution, with the experience of airlines, music, entertainment and education acquiring an all new meaning in the internet generation. This has resulted in a change in the way companies do business in India now. The whole point of physical contact locations such as company branches has a reduced importance with intermediaries now being able to carry out business on their handsets. Smart organisations can therefore deliver smart products to the smartest of consumers with the growth of mobile e-commerce. A user friendly interface, multi-lingual support systems, seamless product – service delivery mechanism all make mobile apps the top revenue generating tool today. But the market has risen to competition and companies are striving to bring out the best, first. The question is who can perhaps get the best minds working on their apps, integrate it with their supply chains and start deriving value from it? In the market right now, with such intense competition coming up, now that even Flipkart is looking at entering mobile e-commerce, the very ultimate beneficiary in the process is the consumer who has the best on his handset at the click of a button.